Let us celebrate you! 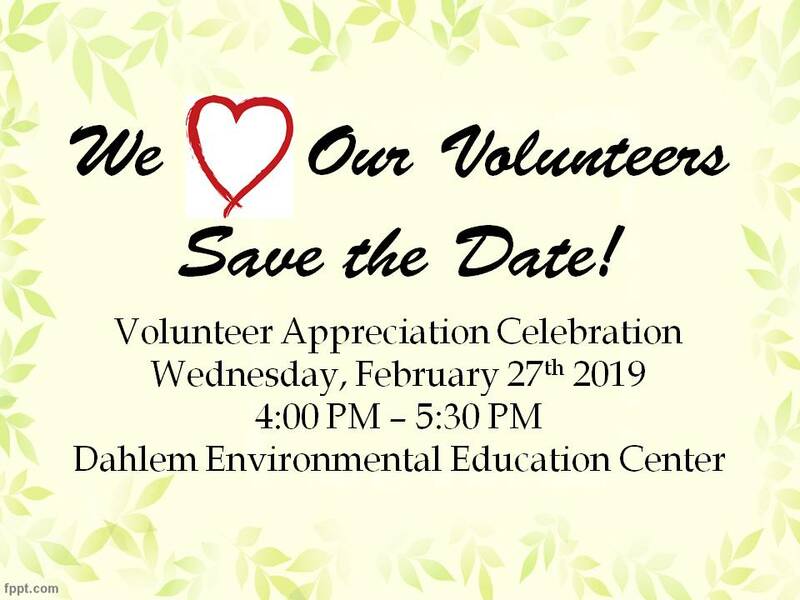 Join us for a special volunteer appreciation celebration on Wednesday, February 27th from 4:00-6:00PM. Dahlem could not continue providing the great programs and events without you, so let us show you just how appreciated you are!